Two Southeastern states are preparing to tackle whether electric cooperatives can deliver high-speed internet access when lawmakers return to work this month. For Georgia, the debate is an extension of one that started more than a year ago. In Mississippi, the Public Service Commission is leading a statewide effort to let electric cooperatives do more than sell electricity. The purpose is to get broadband internet access to rural areas of the states. But just because there are poles and wires doesn't mean the electric cooperatives can flip a switch and customers can start streaming Netflix. As with any major policy change, the willingness may be there, but that does not mean there is an easy answer. "We hope that we can get broadband smeared all over Georgia at a much faster rate," said Georgia Sen. Frank Ginn (R), chairman of a legislative study committee on the issue. The electric cooperatives would be investing and moving into a technology arena that the large telephone and cable companies know well. They would become one more player in the market. But when it comes to the rural Southeast, there is no rural broadband market, let alone competition. As with most advanced communications technologies, the population isn't dense enough for the big telecom players to build out their networks to do business there. Not all electric cooperatives want to be a rural customer's new broadband provider, but most, if not all, say the option should be there. "It is absolutely critical for rural America and rural Georgia, for the electric cooperatives to have this as one tool in their toolkit," said Bill Verner, a senior vice president at Georgia Electric Membership Corp.
As if the policy discussion wasn't complicated enough, there other heavyweights that are critical to making rural broadband even happen. They include city and county governments, investor-owned electric companies, and state utility regulators. All have a role, even if it's about negotiating who pays what amount to rent how much space on who's pole that's been in the ground for 80 years. The other main issue is that it's expensive. States are grappling with how to pay for what many elected officials and business leaders now are calling an essential service. "If you're going to pay a fee of $5,000 a mile, and there's less than 10 customers on that line, that's paying $500 a year to that broadband divide," Ginn said. "I want to make sure the committee understands, to me those might be things that are prohibitive to rural broadband in a lot of places in Georgia." The Georgia Legislature failed to pass rural broadband bills last year, with a key one dying at midnight with the bill's sponsor standing before the state Senate. New bills are in the works for 2019, with a goal of the House Rural Development Council to "remove barriers" to both electric cooperatives and rural telephone cooperatives to deliver broadband access. State law is currently unclear as to what Georgia's electric cooperatives can do. It doesn't say they can offer broadband, but it doesn't say they can't. The need for clarity just got stronger now that the Agriculture Department has started a $600 million pilot program. Electric cooperatives can apply for a grant or loan through the program, but it must be clear — and authorized by a board's general counsel — that the co-op can use the money specifically for broadband. "If you really want to move the needle on broadband, you need to have the [electric membership corporations] be authorized and to be a conduit for these funds," Verner said. He envisions that broadband growth in rural areas will happen through partnerships. The cooperatives may have the infrastructure, but it will take an entity with the technology to move things forward. 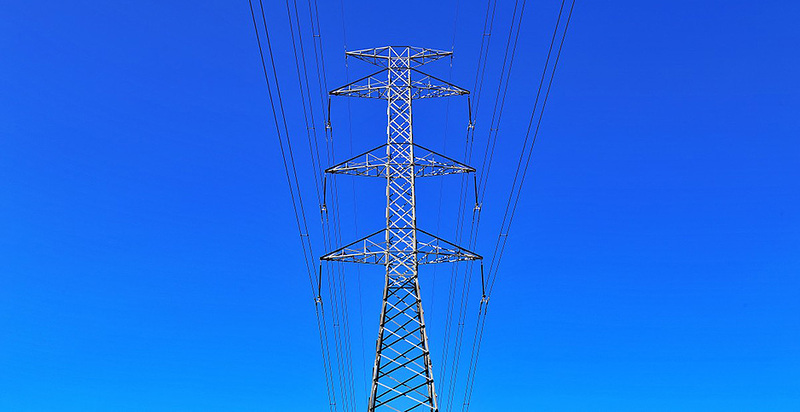 Mississippi law says electric cooperatives can sell electricity only. PSC Chairman Brandon Presley hopes a resolution will change that. It has widespread support from city and county governments and key state groups. "We have legislation ready to go," he said. "We're trying to get the door open where those local boards can make those decisions themselves." Presley said he's been pushing the issue for more than a year. It took a trip to northwest Alabama to gather support. That area is home to Tombigbee Communications, a subsidiary of the Tombigbee Electric Cooperative. It's not the first electric cooperative in Alabama to offer broadband, but many view it as a model for others. One thing is clear: CEO and President Steve Foushee is passionate about what he and others believe will transform the region, one that he's well aware needs a boost. "If we don't fix this problem as rural electric co-ops, then what's your alternative?" he asked. "In my view, the electric co-op's role has always been to improve the lives of the people. In the 1930s, we were created to greatly improve the lives of rural people, but is that enough in the 21st century?" Foushee has been chipping away at this for a while, applying for money through the Obama administration's American Recovery and Reinvestment Act after researching and attending meetings on broadband deployment. The bureaucratic process yielded nothing but frustration, he said. In 2016, he went to Tombigbee's board with a $45 million proposal to run fiber to every home in its three-county area. It would be done in phases at $8 million apiece, so that if the plan falls flat, the cooperative would still be OK financially. "That was not going to bankrupt us," Foushee said. "It would hurt, it would sting us, but it would not kill us. That lessens the risk." Foushee spoke to the cities, towns and businesses and talked up how broadband could transform the region by improving education, helping rural hospitals, connecting families with their children who have moved away in search of better jobs and figuring out how to bring those jobs back to the area. "If we're going to be a community, we have to provide those things," he said. The board's final discussion lasted more than two hours, and it made a decision just after midnight. Foushee said it was a turning point for the community. When it came time to approve the second phase, the board deliberated and voted within 30 seconds. It is now going into Phase III. "If you can do this in northwest Alabama, as much challenges as we have, you can do it anywhere," Foushee said. Foushee met with Presley, 55 state legislators and others last year. Since that time, the idea of Mississippi's electric cooperatives offering broadband has garnered support from the state's cooperatives themselves, several dozen cities and county governments as well as the state's farm bureau and Realtor association. "[Lack of broadband access] is one of their biggest roadblocks to selling houses," Presley said. For all of his enthusiasm, the Mississippi PSC won't play much of a role unless it involves disbursing federal universal service funds. In Georgia, that is the hope of Public Service Commissioner Chuck Eaton. But so far, the PSC has not been a part of the Legislature's rural broadband discussions. This is in part because of a Georgia law that prohibits the PSC from regulating broadband and other similar services. Regulators say it's time to update that law, called the Competitive Emerging Communications Technologies Act of 2006. The PSC has voted to study whether it can and should be involved. At the very least, Eaton said if the Georgia Legislature chooses to have a program to help fund rural broadband, the PSC would play a role. "I think we do a very good job when it comes to this sort of thing," he said.